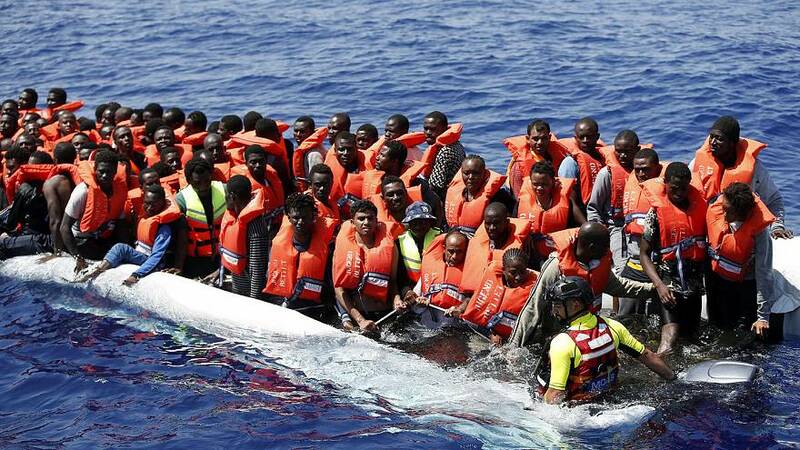 More than 300 people have been rescued from the Mediterranean Sea after migrant boats capsized off the coast of Libya. One small vessel packed with 27 Syrians flipped over and sank, according to humanitarian group Migrant Offshore Aid Station. The bodies of two women and one man were recovered. Among the dead were two girls, aged eight months and five years. The survivors were taken to the Sicilian port of Trapani. Migrants from North Africa are favouring the dangerous voyage toward Italyafter last year’s prefered route from Turkey to the Greek islands has been largely shut down. According to the International Organization for Migration, about three thousand migrants have died in the Med so far this year.